Find out more about furs in Dubai. Weather in Dubai and Dubai coat prices. Buy a coat in Dubai. The weather in Dubai is very good all year round. It is most pleasant after October and until December when temperatures are around 30 C during the day and 20 during the night. Winter season lasts from January to April and it is also a very nice period. It rarely rains and tourists may easily walk throughout the city. After May temperatures are close to 40C and even though visitors may enjoy some hot weather, it is easier to shop within mall areas where air condition is available. In general Dubai has very tourism friendly weather and indoors air condition is available everywhere. Fur coat prices in Dubai vary a lot. Dubai has a very large fur market and a very large range of furs. There are plenty of fur stores, but not all are fur manufacturers. Most of the stores are just retail sellers so quality and price may fluctuate from store to store. AVANTI Furs, a fur manufacturer itself, owns two fur stores in Dubai, one in Deira and one in Dubai Marina. The quality of the fur coats is always checked in Kastoria where all furs are made. That’s why AVANTI has only top quality Greek fur coats in all of its fur stores. 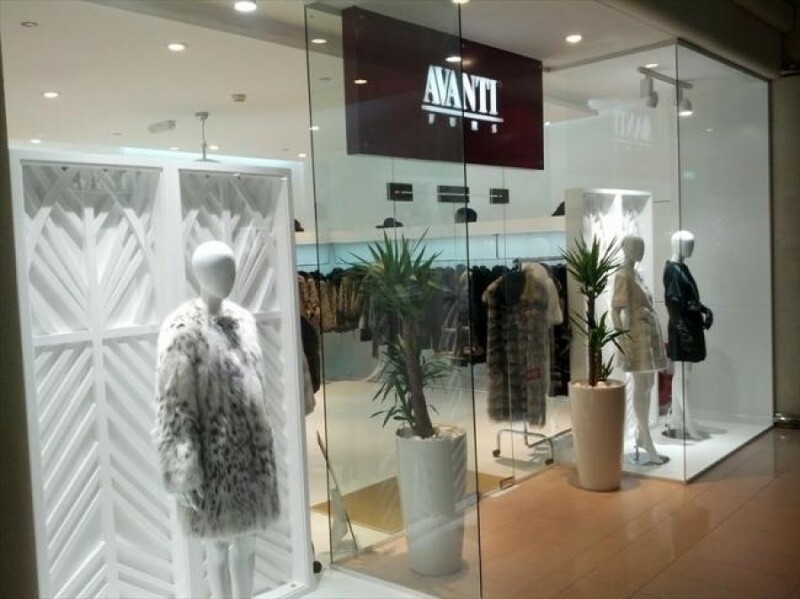 If you want to buy a fur coat in Dubai, it’s best to visit one of the two AVANTI fur stores. The Deira fur store is at Baniyas street, inside the Twin Towers building on the ground floor. The Dubai Marina fur store is located at the Trident Grand building, right on Sheykh Zayed road. Both fur stores have all types of fur coats in all sizes. The latest AVANTI Furs Collection includes mink jackets, cat lynx, Blackglama fur coats, new sable furs, chinchilla models and swakara coats and jackets. It is definitely the world’s largest building, bu the fountain show every day at it’s bottom is equally impressive. The mall next door is also worth visiting. Shaped like a sail and filled by a world of luxury, Burj al Arab is the world’s first 7 star hotel. From the top floors one can see the Palm Jumeirah and the World man made islands complex. The oldest part of the city along with Deira, it’s one of the most beautiful areas of Dubai. A ride with an abra (boat) or a visit to the spice souk will definitely take you back in time. A visit to twin towers will give you the right set of choices in buying a fur coat. Twin Towers is the latest addition to the fur market of Dubai with the newest fur stores. Plenty of Greek fur coats are available. AVANTI Furs is at the ground floor with the entire collection made in Kastoria. The Dubai Marina brings a water canal between residential skyscrapers and a beautiful 3km boardwalk. The sight is just breathtaking and amongst the many designer stores is the AVANTI fur store at the Trident building. Shopping malls in Dubai are extravagant and literally have everything! You can shop, eat, ski in an indoor mountain or see sharks being fed in an aquarium! Visit Dubai Mall, Mall of the Emirates, BurJuman, Deira City Center or any of the other malls. If you love dolphins, a visit at the world’s largest dolphin habitat will give you a chance for various interactions with those wonderful creatures! Either a Jeep ride at the sand dunes, a BBQ or belly dancing with tea, desert activities are always popular. Waterparks are always popular with the younger age group. Aquaventure and Wild Wadi are both worth visiting. Wining and dining compares to the best in the world. Dubai restaurants offer creations by top world chefs and hotel bar lounges serve alcohol in amazing atmospheres. Visit Dubai to buy fur coat in September last year. Very nice fur mall Deira twin towers where AVANTI Furs. No kamak finally Buy one silverblue very good quality fur coat. Have also beautiful lynx furs.. this year lynx!